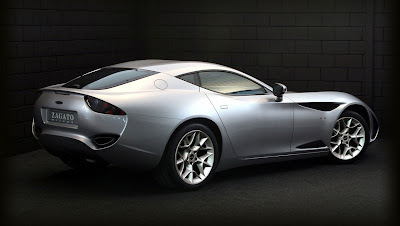 The Perana Z-One is a South African supercar styled by the famous Italian design firm Zagato. The Perana name is well known amongst performance car fans in South Africa as the name was given to a range of Ford vehicles tuned by Basil Green Motors in Johannesburg back in the 70s and 80s. However unlike the old Perana vehicles the Z-One is powered by a GM sourced engine, a 6.2 litre LS3 V8 to be exact. Mounted up front this engine should give the coupe fantastic performance while also being easily serviced and long lasting. 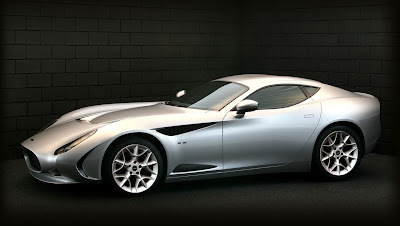 Each curvaceous body of the Perana Z-One will be individually created by Zagato before being sent to South Africa where it will be joined to the chassis and drivetrain. The body itself manages to be both classically proportioned and contemporarily styled. It also incorporates a number of Zagato trademark styling details like the double bubble roof and hidden 'Z' built into the b-pillar. In total only 999 examples of the Perana Z-One are due to be built. The Perana Z-one will be produced at the world renowned Hi Tech Automotive Manufacturing Facility. Located on the outskirts of the Friendly City of Port Elizabeth, this manufacturing facility is considered to be one of the world's foremost low volume specialist sports car manufacturers. The allure of the Perana Z-one is complimented by its hand-built manufacturing processes leading to unrivaled craftsmanship and finish. This leads to cars with a build integrity that allows them to be accepted as classics in their own right. From the computerized drawing office to the paint shop, where the entire paint shop is pressurized and not only the spray booths, our attention to detail allows for unrivaled quality and finishes. All this can only happen through experienced management, employing craftsman and adherence to rigorous quality controls to meet the discerning demands of an unforgiving international market.